The Danforths began as the bedroom pop project of Chris Danforth while he was finishing up college in Fargo, ND. As he worked on his first album (originally self-released under the artist title the Chris Danforths), he moved to the Twin Cities and worked with a number of musicians in the Modern Radio family including Jonathan Warnberg (Misfires/Signal To Trust) and Adam Burt (STNNNG/The Vets). For the second album, Chris solidified the lineup with Fargo ex-patriots, collaborators, and friends Neil and Tom. Modern Radio released a hand made version of the their second album that came out on Essay Records. The packaging included a hand bound coloring booklet. The most recent album Amphibian followed in the tradition and was released in a hand made origami style packaging. 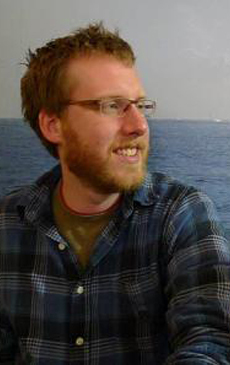 In 2012 Chris Danforth received the McKnight Composer Fellowship and a Jerome Fund for New Music.